Although said in a lighthearted manner, my classmate (if you will) got my point: Desiring exercise starts with putting oneself in an environment that promotes exercise. This is followed by the need to have an intrinsic and realistic exercising goal that is not time bound. To put it another way, your health/exercise goals should be your own and you shouldn’t forget to have fun while on your way to achieving them. Select an exercise activity that you find interesting and do some research – What is it? Is there a gym near you that offers it? What are their rates? Like Goldilocks, try and try until you find the perfect fit – Don’t be discouraged if you are not too thrilled with your first exercise choice. Just think that you have yet to discover the new one. Consult your doctor before engaging in any physical activity – Best to get the necessary clearances for your peace of mind. Start out the right way – Consult with a trainer or instructor for your first few sessions so that you’ll be more informed on the proper execution of your chosen exercise. Don’t forget to have fun and ‘rest days.’ – Getting fit and feeling better can be an enriching experience so always be mindful of the journey and not the destination. Also know when to take a day off and rest as too much exercise may lead to unanticipated injuries. Enjoy your exercise journey guys! 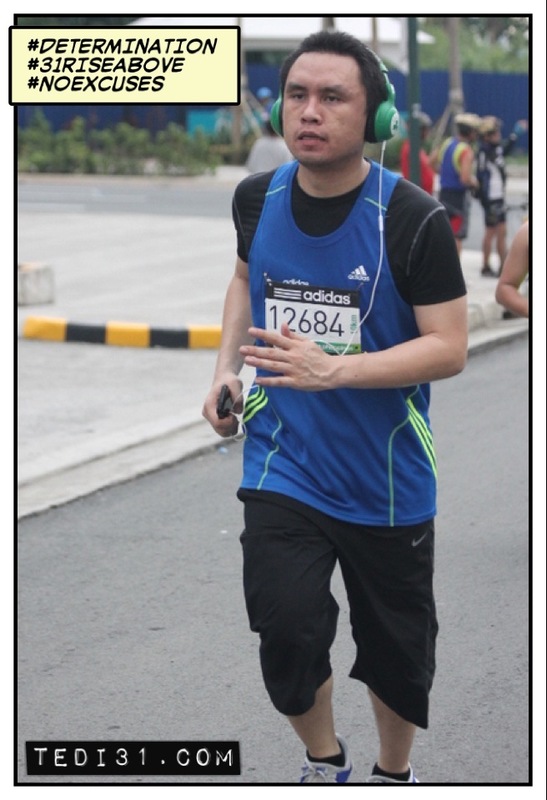 Awhile back, I was interviewed by one of the editors of Women’s Health Philippines’ and my good friend Regine Rafael for a sidebar piece on the subject of self-esteem. Highest marks Reg! 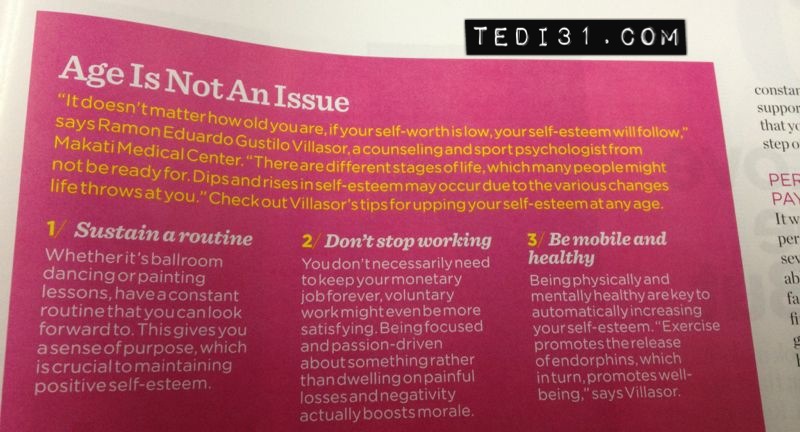 The sidebar (and more) can be found in the May 2013 issue of Women’s Health Philippines that is out now wherever magazines are sold.